Konami have released a video showcasing all 20 La Liga stadiums which will feature in Pro Evolution Soccer this year as part of the game's extraordinary licensing agreement. 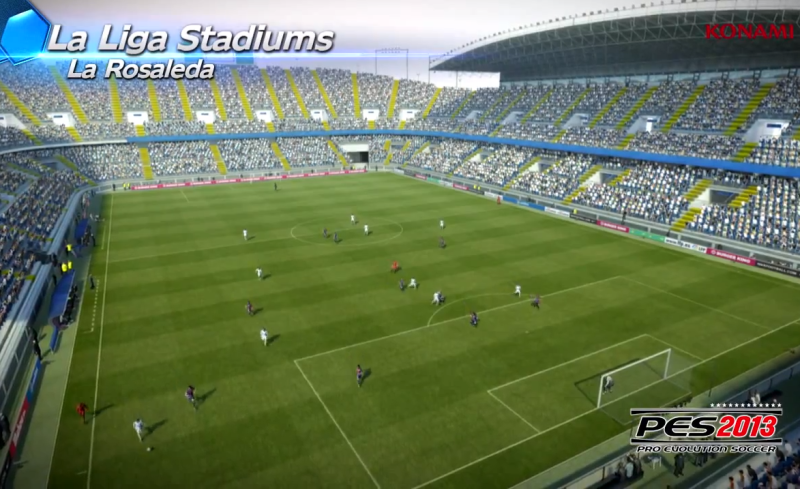 Every Spanish top-flight stadium will feature in PES 2013. Users will have the chance to get all twenty La Liga stadiums on their console. The majority of stadiums will feature on the game by default, however, Barcelona's Camp Nou - among others - will only be available via DLC which will be available to download on release day.